The state-run National Museum of Korea (NMK)'s "The Buddhist Hanging Scroll at Gaeamsa Temple" exhibition, featuring precious massive Buddhist scroll painting, is a rare display that gives a fine introduction on Buddhist ritual in the country. On loan from Gaeamsa Temple from Buan, South Jeolla Province, the 13.17-meter-height towering painting, produced in 1749 during Joseon Kingdom period (1392-1910), depicts seven Buddhist deities including triad Buddha (Buddha flanked by two bodhisattvas) in the center. Designated as the country's National Treasure No. 1269, the five-story-high scroll painting is one of the largest "gwaebul" paintings in Korea, according to the museum. "Gwaebul is the scroll painting used for outdoor Buddhist ritual. Due to its large size, it was hard to find out space for the indoor exhibition. We could find a room in our Buddhist art exhibition room and display Gaeamsa Temple's gwaebul painting as our ninth exhibition of our gwaebul exhibition series," the museum said. 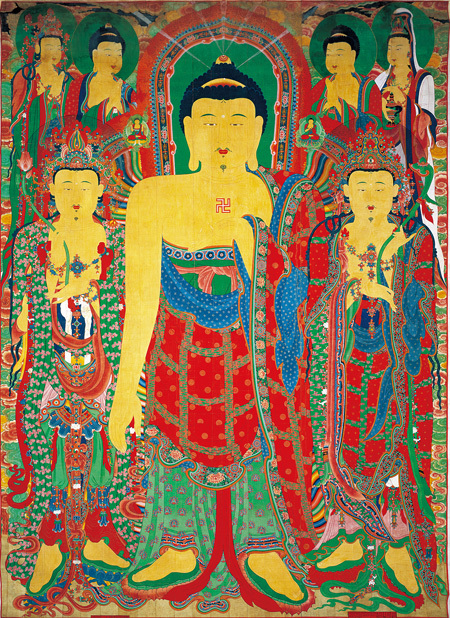 "According to the historical records, the painting was done by 13 painters and 191 laymen and 59 Buddhist monks procured the materials for the painting, and according to the record left in the Gaeamsa Temple, this gwaebul was also used not only for Buddhist rituals but also for rituals calling for rain during droughts," added the museum. The exhibition runs through April 26, next year. The venue is located near exit 4 of Ichon Station, subway line 4 and the Jungang Line. Admission is free. 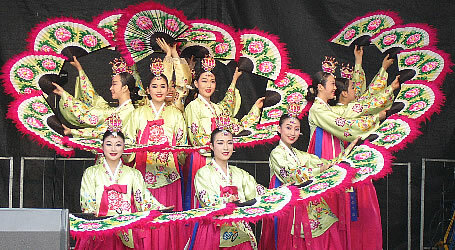 For more information, call (02) 2077-9493 or visit www.museum.go.kr.